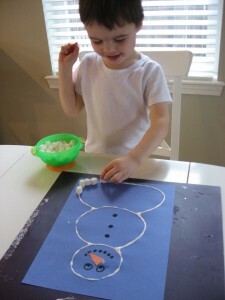 This activity is in disguise, it looks like a snowman craft but really it’s all fine motor practice and counting. My son has been skipping 5 while counting so I decided to focus on it more and this is a great activity for that. Our rule was he could eat one marshmallow after he counted out 5, 10, 15 etc… it worked wonderfully. His fine motor skills and hand eye coordination got an awesome workout too as he placed each marshmallow carefully on the glue. Fun and learning! Gather your materials. 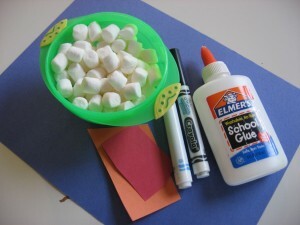 You will need some mini marshmallows, glue, some markers ( include black), some orange scrap paper and a little helper. 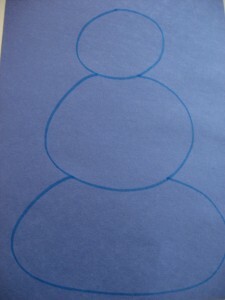 Start by drawing a basic snowman on the paper with marker. 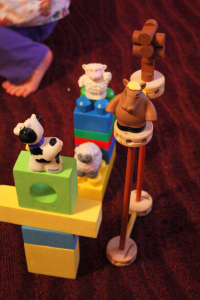 Depending on the age of your child make it larger or smaller, challenge your child but have realistic expectations . 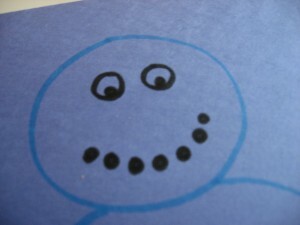 Draw the face and buttons with marker. Cut out a carrot nose with the orange paper and glue on. Add the glue along the outline. If your child is able have them do this, it’s tricky to stay on the line but great practice in patience and hand eye coordination. No my son did not do this step, he was busy sneaking marshmallows while I was concentrating. Start adding the “snow” . Like I said in the preamble, I had him add 10 to the bottom then eat one, then 5 to the middle, then 13 to the bottom again. It was very interactive and fantastic counting practice . He had a ball and really didn’t eat too many . Look at the fine motor skills! 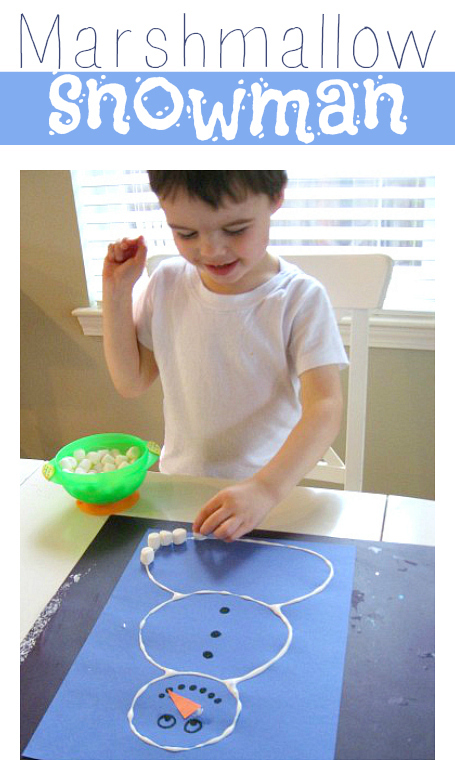 For children who are still at the early stages of fine motor development, you can adapt this by using large marshmallows. The Lonesome Polar Bear by Jane Cabrera is a cute little book about a little polar who”™s only friends are a snow cloud and snow animals that keep melting away. The book has a cute message about not giving up hope and to keep trying to make friends , a lesson that is worthwhile for everyone. The illustrations are very cute and my son loved it! Birthday Snow by Kim Messinger and Michael LaLumiere is such a sweet book about believing in something even when all the facts say maybe you should give up. Daniel doesn”™t give up hope waiting for the snow to come on his birthday , but who really steals the show is his mom and her continued support of her little guy and his determination. A very cute book and a new addition to my must buy list! 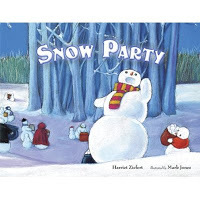 Snow Party by Harriet Ziefert is a magical book that celebrates the biggest holiday for snow people, the winter solstice. I wish I had had access to this book when I was teaching because it”™s a perfect way to read a story about celebrations without focusing on one tradition, or leaving out another. The illustrations are beautiful and the idea of snow people eating and dancing in the middle of the night is delicious! .-= Trudie´s last blog ..The Sunshine Award =-. Thi is great! Even though my daughter’s fine motor skills are pretty good we need to practice counting past 10 and she’s crazy about marshmallows and snowmen. Thanks for the inspiration. My son’s are freaky good and always have been but with counting he seems to skips anything with a 5 in it 5, 15, 25. I am not worried , he’s 3 but it’s fascinating. Cute! 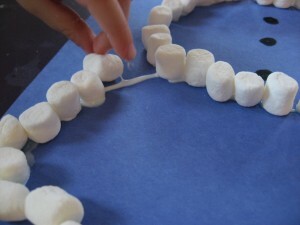 The marshmallows will also stick if you bite them in half and then press the other half on paper…..
.-= The Activity Mom´s last blog ..Using Photos to Teach Concepts =-. GREAT idea. I think we will do this today! .-= Deborah´s last blog ..Preparing to sing with preschoolers =-. Perfect! I just bought a jumbo bag of store brand mini’s and they are so yucky the kids won’t even eat them! Now I don’t have to waste them. 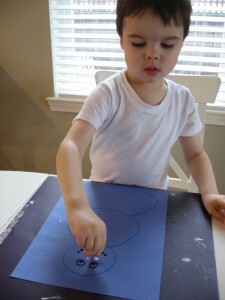 We did this today… we were wanting a snowman to go with the snowy weather outside. In addition I wrote the word snowman at the top and cut out letters to match and then had him find one letter at a time and glue it on top of the matching letter in the word for letter recognition practice. Thanks! We woke up to 6 inches of new snow today. And seeing as it was only 2 F, it was too cold to go out and play in it. So we did this crafty activity instead. I cut out black bits for the eyes and mouth, so we had just that many more things to glue. We called him Snowy Day Snowman. Ophelia loves sticking things on the glue and she loves eating “washmellows” so this was super fun for us. We have been counting to twenty for lots of things lately, so this allowed us to do that as well! .-= Heidi Maxwell´s last blog ..Lisa Leonard Designs Giveaway at Walk Slowly Live Wildly =-. Your blog is getting a shout out in my latest post! Thanks for the great project ideas! 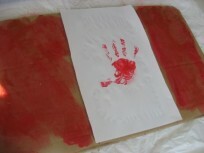 .-= Heidi Maxwell´s last blog ..Crafting with your Toddler =-. .-= Wonder Mom´s last blog ..Wise Men from Afar… =-. This looks like a great craft. I love this site, and sometimes reading what you write makes me think we have the same son! lol! Especially with the fascination with scissors (my son loves his “snissors”) and he also skips the number five when counting… Among a few other similarities. Its interesting. My son loves marshmallows too, so this will be an excellent activity to do with him tomorrow! I love coming on this site and finding something fun to do every day with him. Thank you. Just did this with my daughter, niece and nephew. I think more marshmallows were eaten than used! Totally forgot about the mouths, though! We used raisins for the buttons. Will try to post pics to the FB page. .-= Paula Krueger´s last blog ..Free Forum and Feature Friday =-. My son wanted to make a pig this weekend (long story) but he had a bad cold and wasn’t up to the paper mache pig I had planned. Instead, we used this idea only with pink mini-marshmallows to outline our pig drawing. I even borrowed your idea of eating one after putting on 5. “Penny the Pig” turned out great! That is such a cute idea! I think I may be stealing it!! The girls did the snowman today, they had a blast!! I did the counting to 5 and eat one idea with my 4 year old, the two year old tried to count, but mostly she just ate bunch of marshmallows, some with glue!!! Anyway, thank you so much for the idea, I could tell with this how far my daughter can count in English and Spanish. My two year old was pretty good in putting the marshmallows on the line of glue. Thank you!!! Great way to use up left over mini marshmallows I had around the house! I can see this snowman being a hit, better make sure I’ve got lots of marshmallows!! Thanks for the great project ideas! 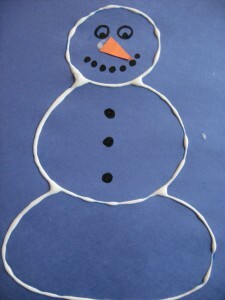 I will try this craft in my kindergarten soon! !